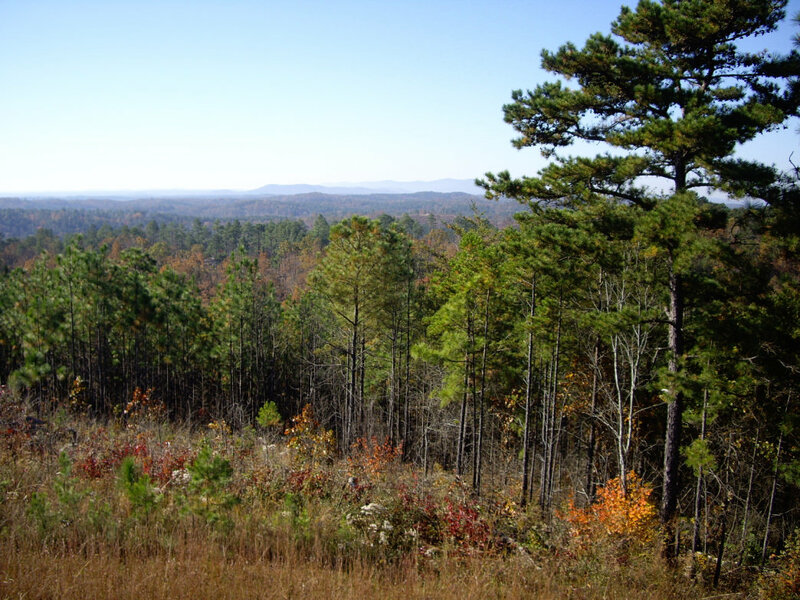 Nestled in the northeastern corner of Alabama, east of Birmingham and near the foothills of the Appalachian Mountains, is one of the state’s natural wonders: Talladega National Forest. With more than 380,000 acres of national forestland, the area contains a diversity of ecosystems and mountainous landscapes that beckon visitors from all over the state. Offering visitors a taste of mountain terrain deep in the heartland of the South, the national forest serves as a scenic contrast to city life with hiking, biking, and horse-specific trails, campsites, and the variety of landscape made famous in filmic portrayals of southeastern states. And then there are the gorgeous waterfalls found around the Talladega Forest District, several of which are accessible via short hikes. 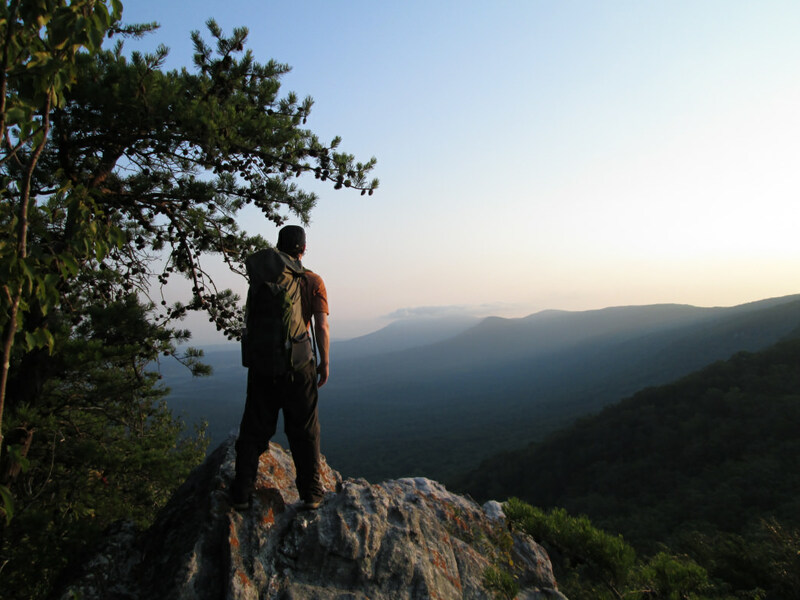 Another strong draw for adventurous types: the Pinhoti Trail, which is the premier long-distance hiking trail in the southeast and serves as the southeast connector to the Appalachian Trail. This trail offers hikers of all ability levels 339 miles of some of the finest countryside in both Georgia and Alabama—and serves as the longest trail system within either of the two states. It’s also home to the Cheaha Wilderness, which boasts the highest elevation in the state and is popular among backpackers, mountain bikers, and hikers seeking sublime views. But the forest wasn’t always such an outdoor gem. Before it was purchased by the federal government in the 1930s, the area was essentially a wasteland due to excessive over-logging. 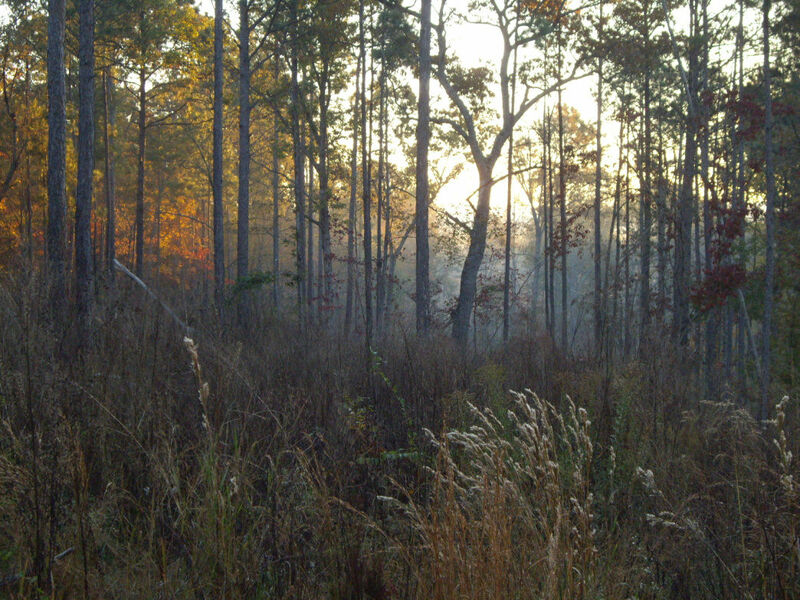 However, thanks to careful conservation efforts by the U.S. Forest Service, including a robust tree-planting programs, the region eventually flourished again, and the pine forest regrowth is part of an abundant and diverse eco-system. Here, a look at some of the hidden gems of this Southern treasure, and insider tips on how to enjoy them. The southernmost terminus of the Pinhoti Trail begins just outside the boundary of Talladega National Forest near the small town of Weogufka in Coosa County. Flagg Mountain is the name given to the true entry point of this trail system. It ends 171.2 miles later at the Georgia border, having traversed the entirety of Talladega. 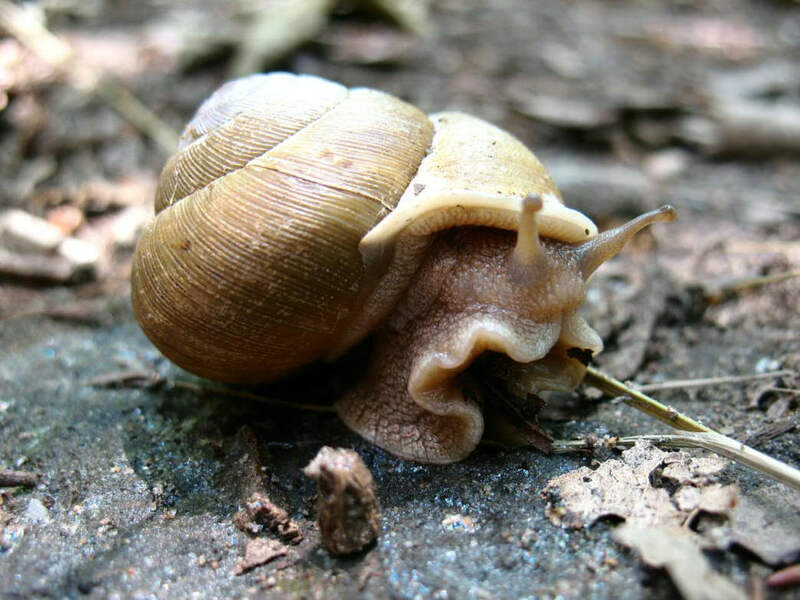 On the first five-mile section of the Pinhoti, hikers can choose from trails that wind through beautiful and mountainous old-growth forest rich in species diversity and natural wonder. A day hike or overnighter on the terminus of the Pinhoti makes for a unique hiking experience that is only available in the southeast. To get to the Flagg Mountain Trailhead, head south on AL 21 from Sylacauga for 6.0 miles. A right turn on CR 41 will lead to Weogufka. From there, another 5 miles will lead to the CCC road that connects to the trailhead. The hike itself features spring crossings, creek views, and a two-mile section known as “The Boulevard,” which has been described as a “dream trail,” by those who are most familiar with the trail system. The 4.2-mile there-and-back on this first section of trail is easily doable by hikers of all ability levels. From the parking area at the trailhead, this section is downhill until the turn around at the Weogufka Creek Shelter. “Cheaha” translates to “high place” in the native Creek language, which makes sense given that the mountain plateaus at just over 2,400 feet, the tallest point in Alabama. The views lend themselves to photography, contemplation, and relaxing getaways. Sunsets and rises on the mountains surrounding the state park and lake are singularly beautiful. One of the best hikes in the area is known as the Lake Trail, which features a few steep gradients, rock gardens, and jumbles and is best suited to experienced hikers. Getting lost here isn’t much of an issue, however, as the trails are well marked. Another wonderful feature of the Lake Trail is relative proximity to primitive campgrounds, which makes planning an overnight a snap. There are plenty of other hiking options throughout the park in addition to the Lake Trail, of course. Exploring Pulpit Rock Trail, for example, is a great option for the return hike to Lake Cheaha from the summit. Hidden vistas and slightly less traveled pathways flourish here, too, for those willing to explore further. The national forest offers a map of the forest that’s worth printing ahead of time. The Pinhoti Trail Alliance is a treasure trove of helpful information. 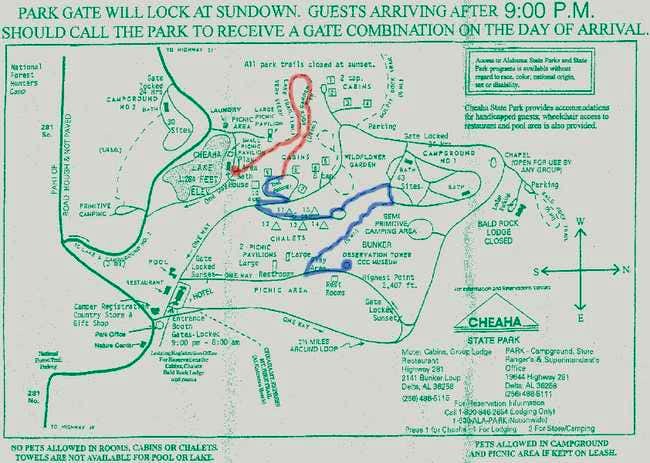 If you’re planning to summit Cheaha Peak, this map shows a possible route that will lead to the true “peak” of the mountain in blue, while the red line shows the Lake Trail route.